The college search scares a lot of high-school graduates every year. Choosing the right college is one of the first big decisions for young adults that will impact the rest of their lives. Finding the right school the first time can save a lot of money, transfers, and time it takes to start a successful career. Are you looking for a Public or private college? Large, medium or small? Which size would your student best fit in at? How far away? Within Texas? Within 100 miles? Small town or urban campus? What is your student used to? Where do most students live? On or off campus? Does the college have the major you want to study? How strong is that particular program? Once you have answered these questions click here to explore Texas colleges and universities! Safety schools - colleges that will be easy to get into based on grades and test scores. Realistic schools - colleges that you have a decent chance of getting into. Reach Schools - colleges you want to apply to that will be tougher to get into. Find out who the college recruiters are for each college on your list? Contact each college recruiter by email or phone to introduce yourself. 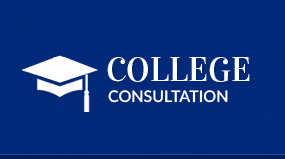 Ask them if they have any suggestions on how to learn more about the college and to improve your college resume. Plan and schedule a college visit. Make sure you visit the specific college and department for the major you are interested in. Try to speak with others from your area that may be current students or college alumni to find out what their experiences were like. Reach out to us here for more information on how to get your foot-in-the-door of higher education! "Knowledge Guides was awesome! They worked around our schedule, they were able to get both sessions, ACT and SAT, in about eight to twelve weeks"
"Knowledge Guides has enabled my son to reach his goals"